Before we get to the method, allow me to address the purpose of this. Yes, we miss out on the confidence that comes with several years of piano or guitar training, but we do get to have the experience of writing and manipulating chord progressions in a way that simply was not possible before these tools existed. In the same way that computer animators may not need to master cel painting and “in-betweeners”, we do not need to learn the legacy techniques to be able to produce relevant and interesting chord patterns. In a given project, we’ll start with a piano track. I introduce this to my students during the Chiptune project, but it could be done at any time in your curriculum. 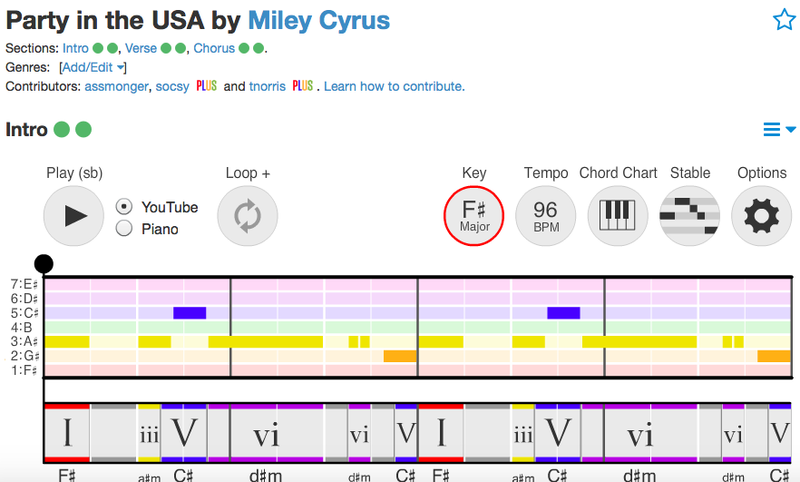 First, we’ll apply the MIDI Effect “Major Chord”. Don’t worry if you actually plan to play in a Major key, we just need to split the incoming notes into a Triad. If you play notes, you’ll hear “dumb” major chords that are chromatic, out of key, and always major. Next, and importantly after adding this we will add the MIDI Effect “Scale”. 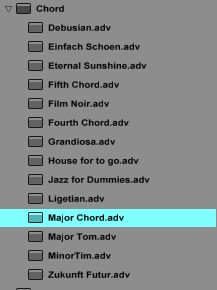 Pick whichever preset you like – I’m going to choose Minor. There’s a lot of minor music out there and we always teach it as a secondary thing. In my class, we flip that – I almost always have them write in minor. Now we have pretty close to perfect diatonic chords. There are a couple exceptions, including no leading tones for this natural minor scale. No problem – we can still get good results here, voicing aside. Realize this: you now have a piano that, instead of playing chromatic notes, has white keys that directly correspond to Roman Numeral analysis of chords. You don’t have to just do it in C or G, you can do this in any key you want (just use the transpose dial on the Scale effect). The first key gives you a I chord, the second key gives you a ii chord, the fifth key gives you a V chord. Pretty cool, right? Now we open Hooktheory.com, specifically the TheoryTab section. When you search for a given song, it will simply show you Roman numerals for the chords. Each student can either play the chords as written, or simplify the pattern (with students who find the actual rhythms elusive, I say just make each chord 1 measure long). Then, they record themselves playing those keys on their MIDI keyboards. The great part about this is that the MIDI clip is very portable to other types of tracks. The initial track is block chords, but adding an arpeggiator yields a cool background effect part. Taking chord away and transposing down yields a good instrument for bass parts. Add arpeggiator to a non-chord part to have a rhythmic bass line or background part. Below is an example Chiptune project from a student written using this method. Listen for all of these types of parts, plus a melody part (also made using the Scale MIDI effect). Try this on your own students and let me know what you think!